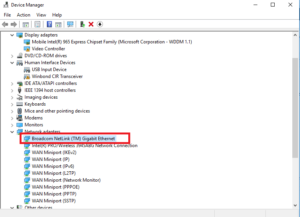 If you are a Windows user and use the Internet more often, then you might have faced Error 651- Connection Failed problem. Error code 651 generally occurs when a user tries to connect to its broadband connection in a Windows-based computer. The error shows a message – Error 651: The modem (or other connecting devices) has reported an error. In this post, we have listed down several ways in which you can Fix Error 651 Connection Failed problem in Windows. What is Error 651 and when does it occur? 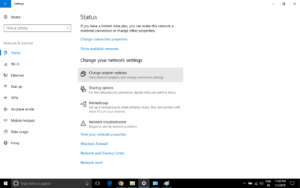 Error 651 in Windows usually occurs when you try to connect to your Internet Connection using PPPoE connections. It occurs mainly due to three reasons. The Raspppoe.sys file might be saved in the wrong location on your computer. It might also occur due to IP address conflict. Since there is no official and master method to solve this error, however, we have some troubleshoot options which worked for most of the users. Uninstalling your Modem usually solves this Error 651 Problem as it removes your System Files in the C Drive and when you install it again, all the default settings are restored. Drivers play an important role in managing your Hardware devices. You might face Error Code 651 if your Drivers are outdated. You can go to your Modem’s official website and download the official Drivers and firmware. Type netsh int ip reset reset.log and hit Enter. That’s all. Restart your computer and your problem will be resolved. Also Read: Is your USB device not getting recognized? Since the root of this problem is because of error in rasppoe.sys file, so replacing your rasppoe.sys file might get this issue sorted for you. Rasppoe.sys file is located at C:\Windows\System32\Drivers by default. You can replace the old file with the new one from this link. Make sure that you take the backup of your original rasppoe.sys file before replacing it. If any weird thing happens, then you will be able to restore your original rasppoe.sys file. Open Control Panel or Setting on your computer and go to Network and Internet. Select SSID of your Internet Connection and go to Properties. Uncheck the IPV6 option and click Ok.
Open Run dialog box by pressing Windows Key+R, type devmgmt.msc and hit Enter. 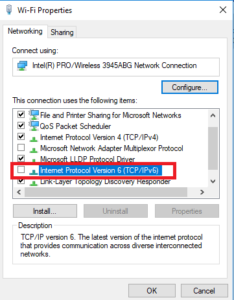 Goto Network Adapter and select the first option. This is usually your Ethernet card Driver. Install it again by restarting your computer and this will get your problem solved. Type Netsh interface TCP set global autotuning=disabled and hit enter. Restart your Router and this will Fix Error 651 for you. Open Run dialog box by pressing Windows Key+R, type msconfig.exe and hit Enter. Browse under General Tab and Click on Selective Startup. Check the Load Selective Startup option from the option listed below. Browse through the Service Tab and check mark Hide all Microsoft Services at the bottom. Click on Disable all option at the bottom right of the Dialog Box and Restart your system. 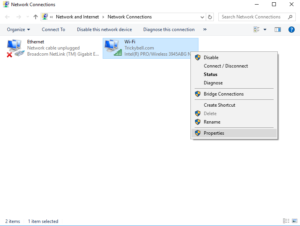 So, these were some of the Troubleshoot options to Fix Error 651 Connection failed in Windows. If you want to prevent this error in future, then you should take care of some basic things while browsing the Internet. Use some trusted PC optimizer Tools and use it regularly. This PC optimizer software keeps your Files organized and also prevent Registry Entry Errors which is the main cause of these Network Connection Errors. We hope that you may have solved your Error 651 in Windows. If you are having any trouble with the above steps, just comment down below and we will get back to you as soon as possible. If you have any other Troubleshoot Methos to Fix Error 651 in Windows, then you can tell us in the comments section below.